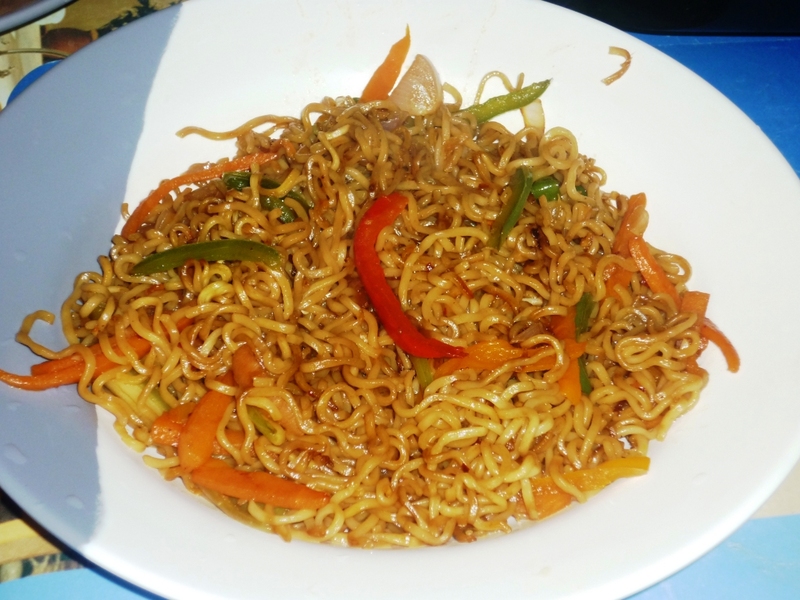 Hakka noodles is my favorite food.Recipe is solely my innovation.Please try this and enjoy,it's so simple and extremely delicious. I use a grill pan for assorting veggies and noodles so that I get a fried texture even with very less oil. I have used dark soy sauce hence the color. Heat oil in a grill pan and saute crushed garlic and dry red chilly. Saute veggies in this oil. Now add the noodles along with 1 cup water in which it was cooked. When everything get cooked and dried,add the sauces and allow it to fry for 3-4 minutes. Mouthwatering here, noodles looks delicious and tempting. It has been more than 6 months I haven't had rice and noodles...so mouth-watering..
Noodles look so delicious. I am a vegetarian and this recipe is very useful to me. Thanks for sharing.